The successful outcome of your business depends upon your planning and ability to continue your strategy. It also depends upon your collaboration with your team, customers, vendors, and investors. The BizPlanBuilder system has evolved to become an easily navigable platform to gather and coordnate the contributions of your tribe! What’s the secret in BizPlanBuilder that makes it my #1 choice for business planning software? From the very beginning, our goal has been to support people developing new products and services to help (save?) our world. We want the best stuff to prevail. Entrepreneurs, inventors and others who offer something great, and must succeed in the face of extraordinary competition, overwhelming odds and tight budgets, need all the help you can get. At first, it was easier to see other people’s ideas and businesses and help them put together a pitch to investors and lenders. The idea to turn our materials into software came like many other entrepreneurial ideas and we ran with it. That was great for versions 1-5. Then we wanted an SBA loan (we used BizPlanBuilder and expanded it to address the SBA’s requirements), then we wanted a line of credit (we used it and improved it to address all the bank’s questions), we used it again to develop relationships with suppliers (we improved it further to address their concerns), and we added and refined it further to get investments from professional investors. These guys are tough and can be brutal on business plans… They’re often investing their own cash and have seen many deals before! (Usually they say they want a short 2-3 page plan… that’s because they don’t trust anyone to get it right. Actually, they want to know many many things before writing a check!) We’ve been listening and watching for a long time and we’ve built-in the answers leading you all the way with the text and numbers in the structure they’re accustomed to. With BizPlanBuilder, you will be prepared with the 2-3 page summary, as well as the complete plan, the pitch and the answers to the pointed questions most investors and lenders will ask! Some of the advantages of BizPlanBuilder are simply unique; no-one else does it. For many BizPlanBuilder just goes further, bigger and better. that provides the desired content and demonstrates the style proven with investors & lenders. 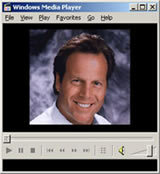 The idea is that it’s easier to edit than to write from scratch — rather than answer a series of questions in a vacuum and let the program assemble a collection of canned paragraphs, BizPlanBuilder presents the text and numbers in familiar Word, Excel & PowerPoint templates where the user can see the context into which their answers will go — finish the sentences, overwrite the examples, and modify the formatting to make it perfect for your business. The financial models have evolved over 20 years and include characteristics gleaned from angels, VCs, bankers, and customers worldwide. For advisors working with business owners on their plans, BizPlanBuilder provides a valuable business education in itself. Multi-user system enables time-saving collaboration over a network, server or web. The BizPlanBuilder system is optimized to enable collaboration with an unlimited number of others over a network, server or the Internet. Entrepreneurial and/or consulting teams can easily divide projects and work together no matter where they are. No more emailing sections, cutting & pasting or overwriting each others work. All Business Power Tools business-building titles run on this same system — learn one, use them all. (You can even drag and drop a section of your business plan in to your employee policies manual!) Beyond the templates; however, business teams can even use the Business Power Tools system itself for developing their own custom projects like technical manuals, sales books, or procedures guides. Likewise, individual users can enjoy anytime access to their plans from office, home, and laptop PCs. Some software products present you with a screen and some check boxes or radio buttons expecting you to make your decisions, out of context, then and there with the system taking over to produce your documents. We think that is more difficult for you as well as a bit dangerous – at Business Power Tools we look for “out of the checkbox” solutions and ideas that may actually work better for your company. First, you need to be shown the bigger picture, offered some choices and provided with thorough explanations before you commit your business to a certain choice. Therefore, we do not limit you to checkboxes and radio buttons, instead, we provide the entire plan where you can read the options and edit the text your way. Throughout, we provide expert comments explaining each choice and making suggestions to consider for each stock options plan point within the context of your entire agreement and management desires. We’ve been developing business planning software since 1988. While that may seem dated to some, to you it means that we didn’t just build a web site and start downloading software. We’ve been through many business cycles — we’ve been making this software and content better for a long time, and we’re excited to say that this latest version of BizPlanBuilder is the most effective and streamlined yet… We listened to the professional business consultants in our network. We listened and incorporated ideas we got from thousands of successful customers. BizPlanBuilder is the software tool that makes producing a compelling business plan a seamless and sensible process. It’s very real, up-to-date, and with the right combination of art and science to help you all the way from idea to implementation. We’ve discovered that it’s easier and better for you if we gathered the best ideas and proven concepts from every industry and incorporated them into just a few master templates. That way, you get more, better ideas and it’s only your task to edit the multiple choices, complete the sentences, and delete things you don’t need. If you want to start a dog walking business, you can find that among the 500 sample plans offered by a competitor. If you work for the government and you have unlimited time, we can recommend another software system that drags you through 1,200 questions before generating a canned business plan for you. Instead, we’ve taken everything we’ve learned over the past 20 years — from angel investors, bankers, consultants, successful customers, VCs — and synthesized it into a few fundamental plan prototypes. These can be customized beyond any 500 sample plans in a few minutes. We didn’t strip out otherwise good ideas to make your plan fit a specific industry — it’s actually more work to undo those sample plans in order to get a good plan you can use! We actually give you more to work with in an easier to use system. 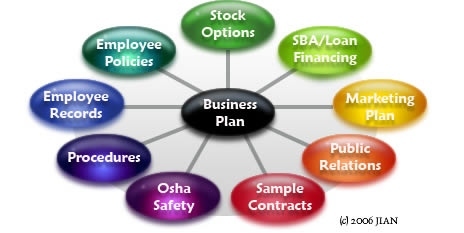 Think of BizPlanBuilder as a carefully compiled collection of the best of business plans providing you the very examples of exactly what to say. Only we make sure it all makes sense and that you can rely on it. With BizPlanBuilder, you also benefit from the cross-pollination from many industries, supporting your business’s uniqueness, and implementing the best-practices sought after by investors, lenders and others who can help you. The unique BizPlanBuilder process assures that you’ll be prepared—ready to face even the toughest audiences and able to answer every question. We often remind people that, “The better job you do on your plan, the better deal you’ll get!” And, that your language can either attract capital or repel it. For these reasons, we provide you a planning system written from the investors and lenders point of view—because they are the ones who will give you the capital you need. The BizPlanBuilder system provides a series of Word-based modules that help you consider every aspect of your business concept, with Excel workbooks doing all of the financial arithmetic for you. Learn one — Use them all! We use the same software program platform to power all of our products — which, in-turn, manage familiar Word, Excel and PowerPoint templates. You already know how to use the Office tools… Learning BizPlanBuilder is easy, and applies to a growing number of useful tools to build your business. Downloading BizPlanBuilder is a great start. Now, what if you could also take the work you put into your business plan and reuse it with other important projects in the future? You can. Business Power Tools offers a complete suite of companion products to help you market, publicize, and build your business as it grows. We make it easy for you to cut and paste from your business plan to your employee handbook, expanded marketing plan, PR plan and press releases, etc. Our web site is also rich with articles, experts and links which will be invaluable to you in addition to the software programs. Sometimes the best way to see if something fits what you are doing is to just try it. If you download BizPlanBuilder now, you can see how well it handles your specific needs and fits the nuances that make your business unique. If it’s not right for you, we will pay you back—there’s nothing to ship, no taxes, and you can keep the software anyway (your karma can be the judge!). A comprehensive business plan can help you get what you want for your business. BizPlanBuilder makes it easy.